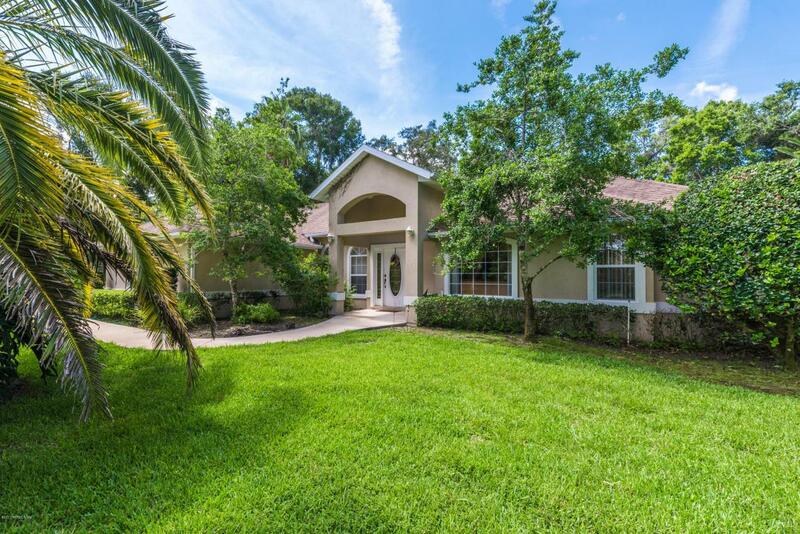 You will love this sunny and bright home that has an open floor plan with great flow for everyday living. Everyone can gather at the breakfast bar, surround the gas fireplace open to both the living and family rooms, or relax or entertain in your spacious, screened lanai overlooking your backyard greenery - so many choices! 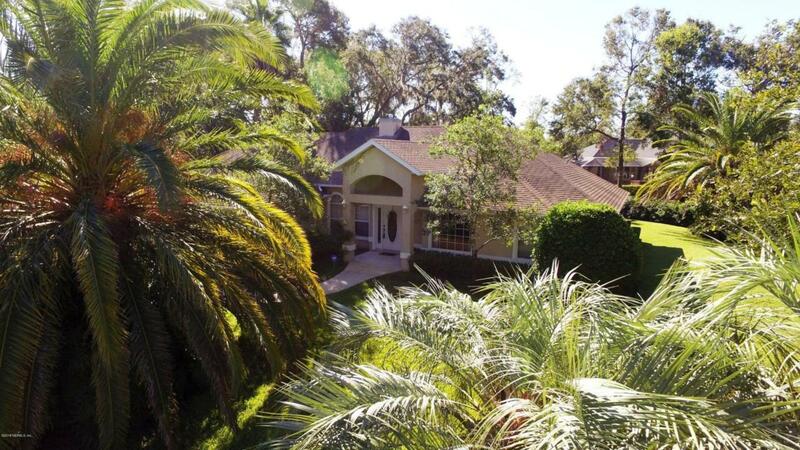 The half-acre lot of this Oakbrook home has so much room and gorgeous, mature palm trees plus a very high elevation too. You will be so happy to make this your home!Time spent in the kitchen is a chef's delight with the gas range, white cabinets, new microwave and dishwasher, lots of counter space and the breakfast area overlooking backyard greenery. The gas fireplace becomes an interesting architectural detail when shared between the living room and the family room and is perfect for relaxing on cool Florida evenings. Enjoy your master retreat and ensuite bath with walk-in closet, jetted tub and separate shower. With the split design, the guest bedrooms have a private wing on the other side of the home. The side entry garage, large utility room with utility sink, separate well for irrigation, and newer a/c unit make this a great buy. Oakbrook has been a well-kept secret with spacious half-acre lots, mature trees, winding streets, and one of the highest elevations in the county. Add to that the great amenities to enjoy including the clubhouse, pool, tennis courts, playground and ball field with a low HOA fee and no CDD fee. Close to shopping, restaurants and top rated schools. A short drive to historic downtown or the beach! 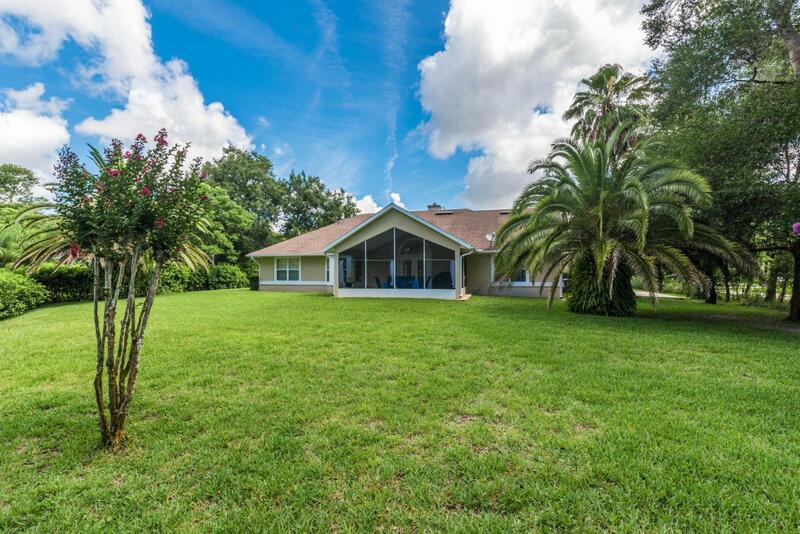 Great home in a great neighborhood that is convenient, yet set back and quiet. 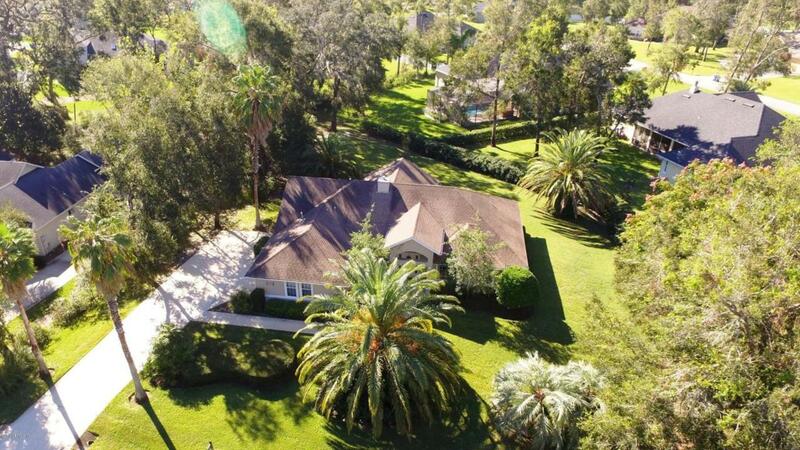 You will want to call this home!